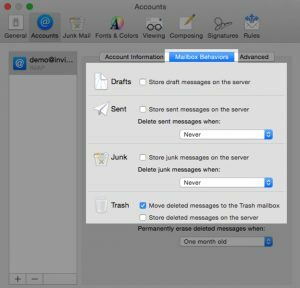 Keeping your Sent mail folder in sync is a straightforward concept, but unfortunately in practice, many mail applications fail to configure it correctly. 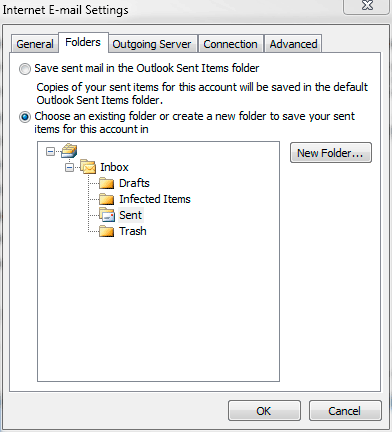 To fix Sent folder syncing issues, check your account settings to ensure that the four items above are accurate. One of your devices must have at least one of those directions incorrectly configured – fix the configuration and your Sent mail will remain synced across all of your devices. 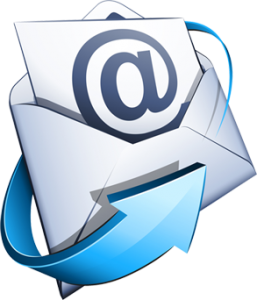 You can find the Sent mail folder configuration using the following directions. 1. Open Mail and choose the Mail menu in the upper left. Select Preferences. 3. 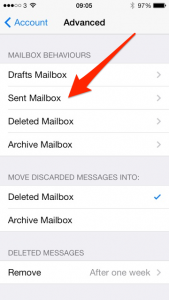 Select the Mailbox Behaviours tab on the right ”Store sent messages on the server” should be checked. If it is not, check it. 4. Close the Preferences window and choose to save your changes if prompted. 5. 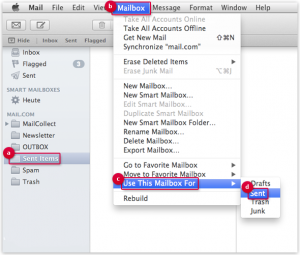 Apple Mail defaults to a sent mailbox/folder named “Sent Messages”. 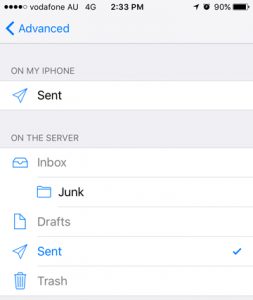 If the option to “Store sent messages on the server” is active it will create a folder called “Sent Messages” on the server and use that folder to save copies of sent messages. This conflicts with many other applications with use the folder “Sent” instead. 1. From the inbox, press your menu button. Click Settings, then Account Settings. 3. 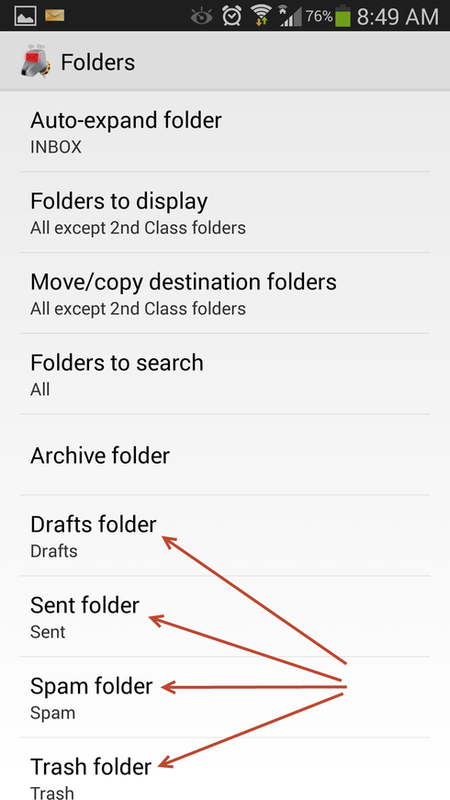 You can re-map the indicated folder by clicking on it. You will receive a list of the folders available. 4. Select the Sent folder.